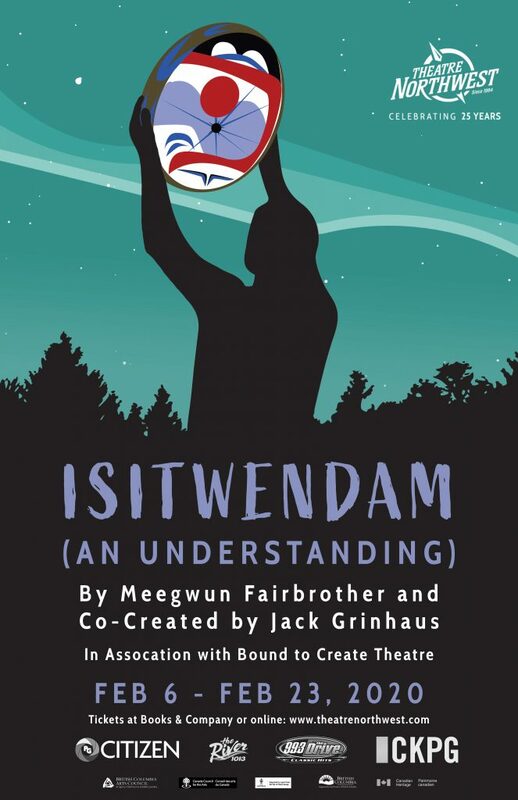 Originally started at Theatre NorthWest, as part of our 2017 Presentation Series, this play comes to Prince George fresh off its world premiere in Toronto. An amazing performance by CBC TV’s Burden of Truth star Meegwun Fairbrother, taking on nine roles, with an amazing digital and video design that will leave you in awe! When Brendan White, a half Ojibway, half-white, young man is hired by Aboriginal Affairs to discredit a Residential School survivor’s claim his whole world is turned upside down. Uplifting, powerful, and often humorous, this one person performance is truly virtuosic!